It sounds simple enough, but planning a truly relaxing and romantic getaway is the kind of thing you need to get "just right." If you go somewhere that’s terribly complicated to get to, or offers poor service, the coziness goes downhill fast. So to ensure maximum romance and minimal fuss, you need a place that’s easy to get to and offers reliably impeccable service. 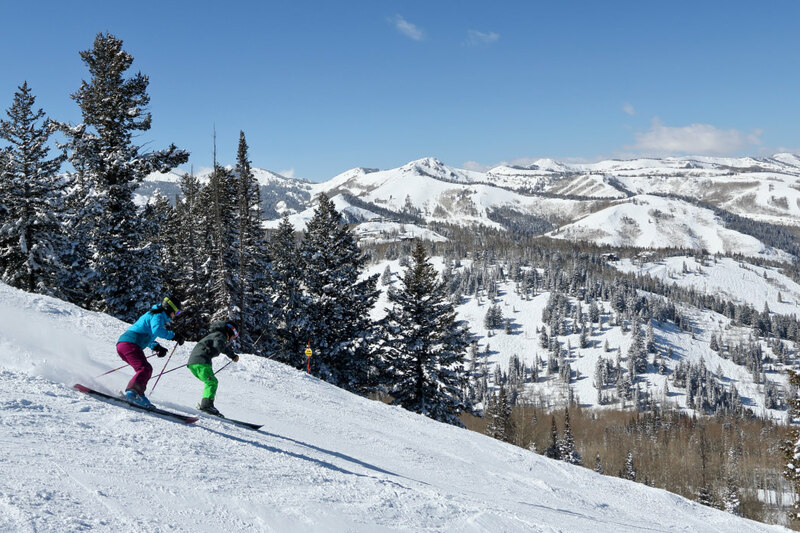 Cue Deer Valley Resort, which is just 40 minutes from Salt Lake City International Airport. It serves as a haven of beautiful outdoor play, paired with exquisite dining and lodging. Here’s a little insider guide on planning a swoon-worthy getaway with your honey—fuss-free and full of fun moments to savor. 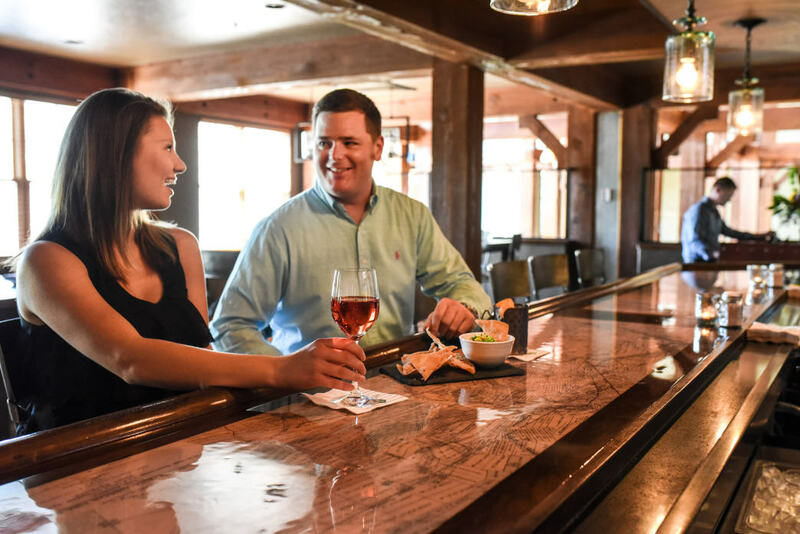 Take advantage of the many places to eat, drink, and relax at Deer Valley Resort, including The Brass Tag restaurant. Once you land, it’s easy to get to the resort. Keep things ultra simple; arrange for a ride to the resort and don’t bother with a rental car. Either way, it’s a short journey to the mountain. 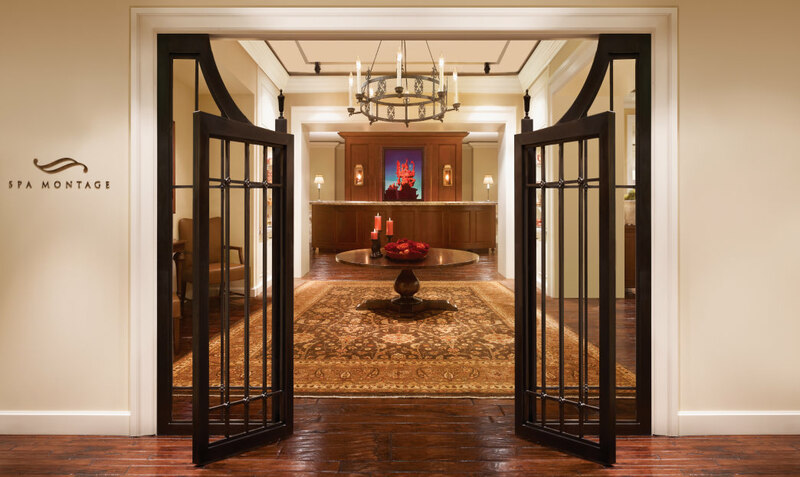 Check in and let the concierge know you’re enjoying a special getaway. They’ll love the chance to think up little ways to add to the celebration. Spend plenty of time on the mountain enjoying that world-famous Utah snow. Once you’re here, take a deep, delicious breath of mountain air and ponder the outdoor options that will make you both smile. A word to the wise—learning how to ski from your romantic partner, or getting a lot of informal "instruction" from them—can be a wet blanket on your romantic spark. But the great news is Deer Valley® has an exceptional ski school that caters to adults. Whether you’re a beginner or a more advanced skier looking to polish your skills, just book a few hours of instruction in advance. You and your other half can then practice your newfound skills together. Once you’ve had your fill of skiing, there are several additional ways to enjoy the jaw-dropping local scenery. Just inquire about a snowshoe hike (the most beginner-friendly yet beautiful workout ever), a cross-country ski lesson, a venture down the tubing hill, or even a dog-sledding adventure. The resort staff knows just who to call to set it all up, and you and your partner can have a laugh exploring something new together. Spa Montage features a Serenity Suite for couples with two fireside copper bathtubs. While there’s plenty to do at and around the resort, resist the urge to overbook outdoor activities. There are multiple extraordinary spas around the resort, each with its own specialty. The renowned St. Regis Deer Valley is home to the Remède Spa, where you can reserve a couples treatment suite complete with a spacious patio and waterfall. Meanwhile the Spa Montage offers a Serenity Suite with two fireside copper bathtubs, a Swiss shower, and a couples massage area. Get ready to relax. Deeply and happily. Use the trip as the chance to unwind, relax, get a little more sleep than usual, log a bit of hot tub time, or order room service. This is about the two of you. Be sure to visit the Fireside Dining restaurant at Deer Valley Resort. Deer Valley sets itself apart with its culinary offerings. While you have multiple options, one absolute must at Deer Valley is Fireside Dining. 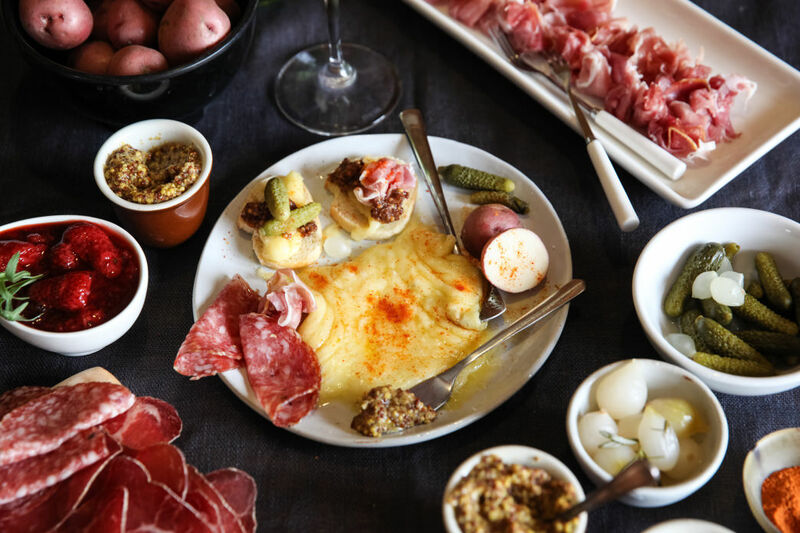 This full evening experience starts with a horse-drawn sleigh ride to dinner (just request it when you reserve), then course after course of fire-cooked delectables like Swiss raclette cheese, cured meats, hearty veggies and stews, leg of lamb, and dessert fondue. If you’re seafood enthusiasts, save an evening for the famed Seafood Buffet at the Snow Park Lodge. Every single dish is done to exquisite perfection, so you can truly savor every bite, from appetizers to the famous "Chocolate Snowball" confection. It also makes sense to branch out and enjoy a night or two on the town in Park City, just a couple of minutes away. Main Street is known for its eateries (and nightcap-worthy stops afterward), so see what entices you most: an Asian-fusion evening at colorful Shabu, an American heirloom adventure at Handle, an old-world Italian evening at Grappa, or a modern fire-cooked menu at new hotspot Firewood. Find the right blend of planning and spontaneity and a Deer Valley getaway for two can be the highlight of your year—and something you’ll remember for many years to come. Originally written by RootsRated for Deer Valley. Would like This in November the 13th check in! Just a romantic anniversary getaway. Would this work?